See if your median income is below the median income for your family size or if you pass the Bankruptcy Means Test, and can file a Chapter 7 Bankruptcy. We are now over five years since the laws have changed, and the filing levels are nearly the same as under the old laws. 1. Mandatory Credit Counseling: Prior to filing any bankruptcy case in Florida or Alabama, one must now complete a credit counseling course online or over the phone. They generally cost about $50.00 and must be given free of charge if you don’t have the ability to pay for one. The mandatory credit counseling course usually lasts 45 to 60 minutes, and can be taken usually 24/7. A certificate will be issued upon completion and must be provided to our office as a condition of filing your case. Failure to timely file the certificate of completion results in an automatic case dismissal. 2. Means Test: This new eight (8) page test was designed to take the discretion from Bankruptcy Judges to dismiss bankruptcy cases where it appeared an abuse of the bankruptcy system was taking effect. This is actually where, in many cases, it is now easier to file for bankruptcy. Since we now have a new test which solely looks to the past 6 months income and has mandatory expense deductions, most people automatically qualify. Moreover, if you fall under the “medium family income” classification, you also qualify. It has been our experience that most of our clients, or about 90%, fall under the medium family income guidelines. The medium family income parameters starts at $42,468.00 for a single person and reaches $98,724.00 for a family of 8 in Florida, and in Alabama the income parameters starts at $36,870.00 for a single person and reaches 91,551.00 for a family of 8, while adding an additional $6900 for every additional family member or dependent over 6 family members. Unfortunately for the credit industry, this new 8 page test backfired against them and we are qualifying more individuals under this new law than the old laws. 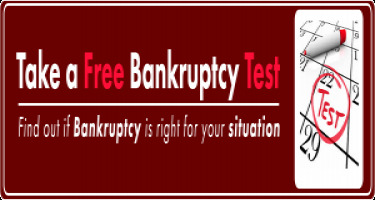 See if you pass the new Bankruptcy Mean Test by using our Means Test Calculator. 3. Tax Returns: In a Chapter 7 bankruptcy filing, a debtor is required to submit the previous year's tax return. 4. Mandatory Debt Management: Just as with Credit Counseling, a debtor is now required to undergo a Debt Management Course after the bankruptcy case is filed. Debt Management is the course that everyone wanted to learn in High School and College, but nobody taught. In fact, this course very easily explains how to budget and eventually arrange your finances to become very successful! 6. The new bankruptcy laws now require proof of 6 months' pay stubs to document income. Ironically, they call this CURRENT MEDIUM INCOME, but has nothing to do with your current income on the date your case is filed. 7. Non-dischargeable Debts: The new bankruptcy laws have now made certain debts non-dischargeable that were dischargeable under the old laws. However, very few cases see these issues arise and it may be only about 1 out of 100 cases will be impacted by this change. Unless you have committed acts of fraud or other malfeasance, you don’t need to worry about this change. 8. Attorney Verification: We are now on the hook with you! If you lie, make a misrepresentation, fail to disclose an asset, or commit any other false oath in your bankruptcy schedules, we can be sanctioned just like you. This new bankruptcy law now allows the attorney to be sanctioned if he or she assumes you are telling the truth! 9. Reaffirmation Agreements: It has long been our practice to not execute reaffirmation agreements except in very limited circumstances. Since the reaffirmation agreement puts you back on the hook to be liable for the debt, it defeats the underlying purpose of a bankruptcy filing. Additionally, under the new bankruptcy laws, you now must attend a mandatory hearing with the attorney before the Bankruptcy Judge. There is an additional fee to draft the Reaffirmation Agreement and attend the hearing. Finally, the Bankruptcy Court does not always approve the reaffirmation agreements and frowns upon most of them. Although all creditors and most bankruptcy attorneys will tell you that you must reaffirm the “car debt” or lose the car, it has been our practice that as long as you remain current and maintain insurance, you will keep the asset and eventually own it once paid in full. However, the new code states you must carry through with your stated intentions and reaffirm the car. 10. Exemptions: Exemptions are what allow a debtor to keep property in a bankruptcy proceeding. Under the new bankruptcy laws, we must use the exemptions in the state you resided in the past 2 years. If you resided in more than one state over the past 2 years, then we must use the exemptions in the state you resided in for the majority of the time for 2.5 to 2 years ago. The purpose of this law was to keep debtors from moving to favorable bankruptcy states, for instance to Florida, where they could keep their $20 million dollar house. For most people, this new law has no impact on the outcome of their bankruptcy case. So far, in all of my bankruptcy cases filed, we have yet to see any debtors affected by this law. Due to poor drafting of the new laws, most states' exemptions cannot be used anyway, as they only apply to residents of that state, and we must then default to the Federal Exemptions which are really better than Florida exemptions with regards to personal property. In summary, this law will probably not apply to you. In summary, the new bankruptcy laws have for the most part BACKFIRED. Almost every Bankruptcy Attorney, Trustee, and Judge will tell you they despise the new laws. The new laws have made bankruptcy filing more expensive and created more work, with no other effect.